Live free. Dine Well. Drink good beer. 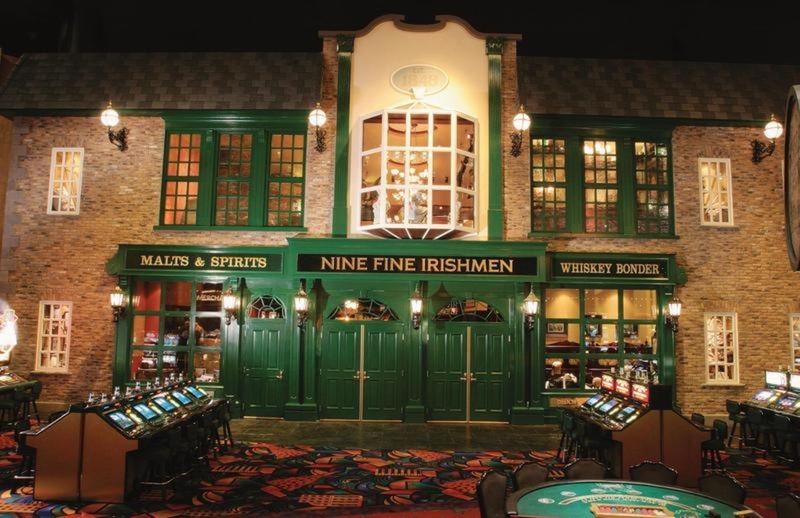 Inspired by a group of extraordinary Irishmen who led lives of great adventure, Nine Fine Irishmen Pub is of epic proportions starring a grand Victorian-style bar, ornate cottage areas, shop-style snugs, and two levels of outdoor patio dining with a spectacular Las Vegas Strip view. As for food and drink, our chef feverishly worked to create tempting signature dishes made of only the freshest, natural Irish ingredients. 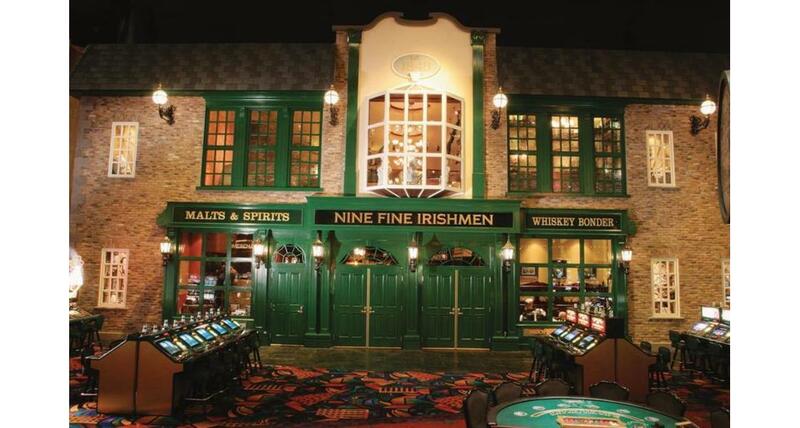 Pair these with the finest stouts, ales, lagers, spirits, music, and entertainment by special guest artists and you've got yourself a little piece of the Emerald Isle in the heart of Las Vegas! This venue is available for private and semi-private events. Please contact the venue for more information on rental space, catering, and availability.